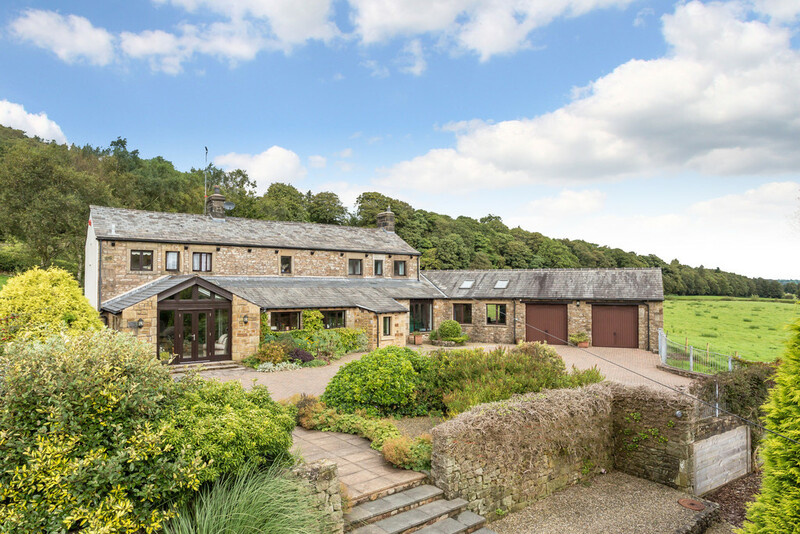 Conveniently located on the outskirts of the City of Lancaster and within The Forest of Bowland, a designated Area of Outstanding Natural Beauty, sits Heathercroft. 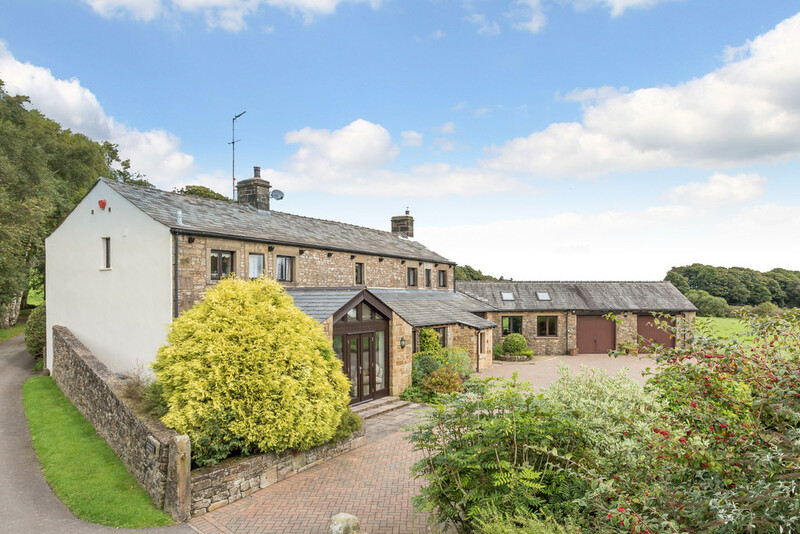 With stunning views, delightful gardens and an approximate two acre field, this beautifully presented, detached 5 bed and 4 reception room family home, dating from the 1800s in parts, is a spacious and versatile property that retains many original features. 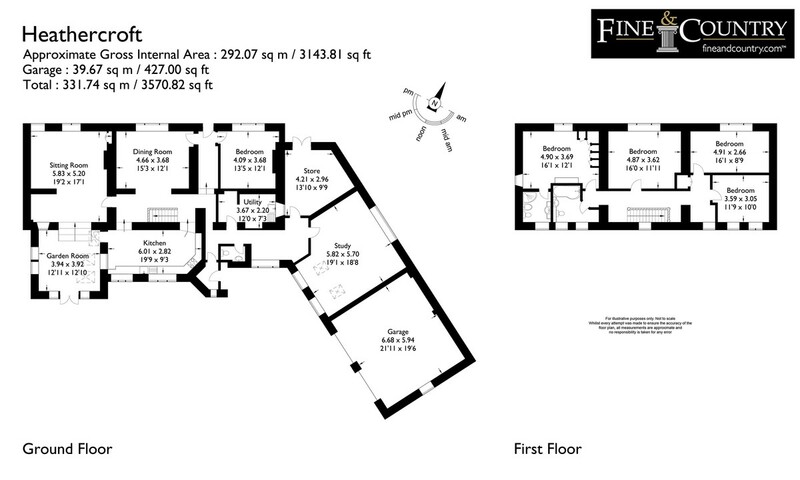 Four reception rooms accompany a breakfast kitchen and 5 double bedrooms set out across two storeys. 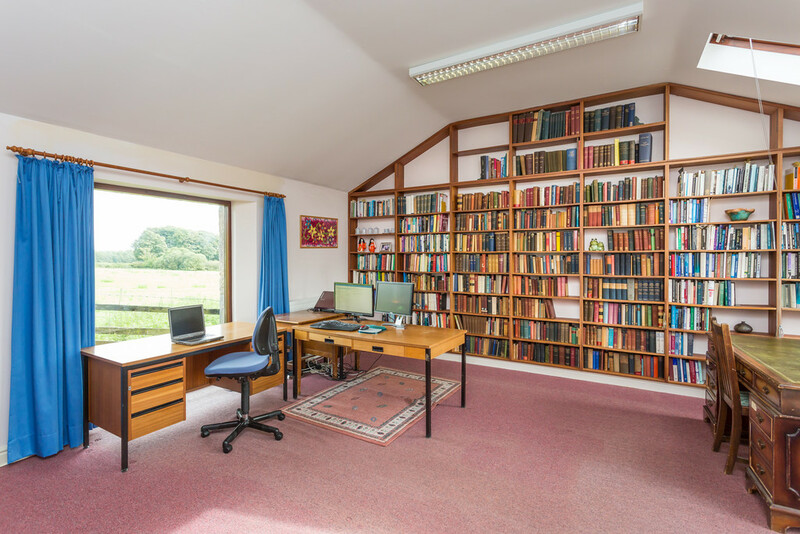 One of the reception rooms is located in a separate wing of the property and comprises a large home office complete with peaceful views over the adjoining fields. With B4RN hyperfast connectivity throughout the property, this is ideal for those looking to work from home. Alternatively, this flexible space could also be used as a family room, gym or bedroom. 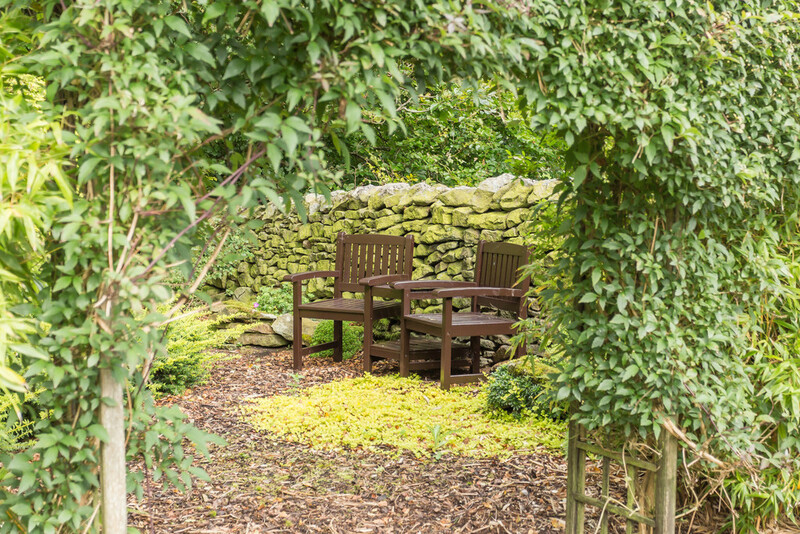 Outside, a front and rear garden offer tranquil seating areas from which to enjoy the many different aspects, including the stunning views over the rolling countryside and prominent Clougha Pike. 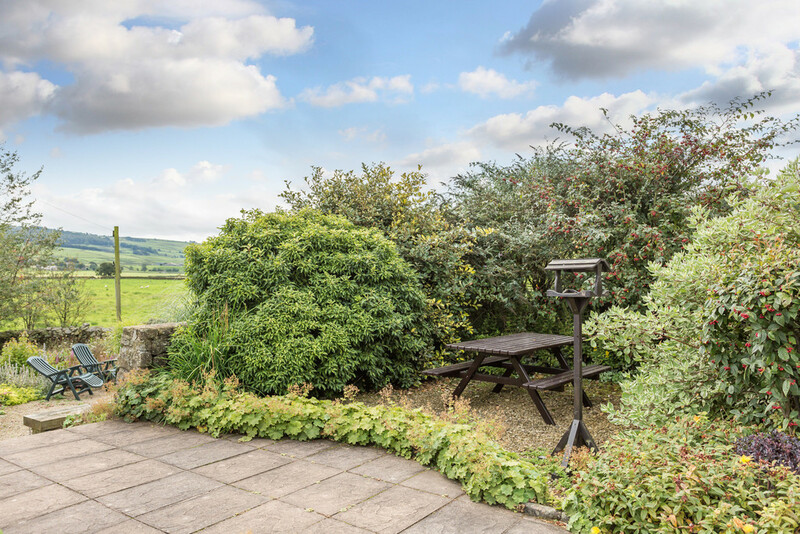 In addition to the generous gardens, there is also an adjoining approximately 2-acre field which could be used to keep horses or simply to enjoy the additional space and outstanding views. 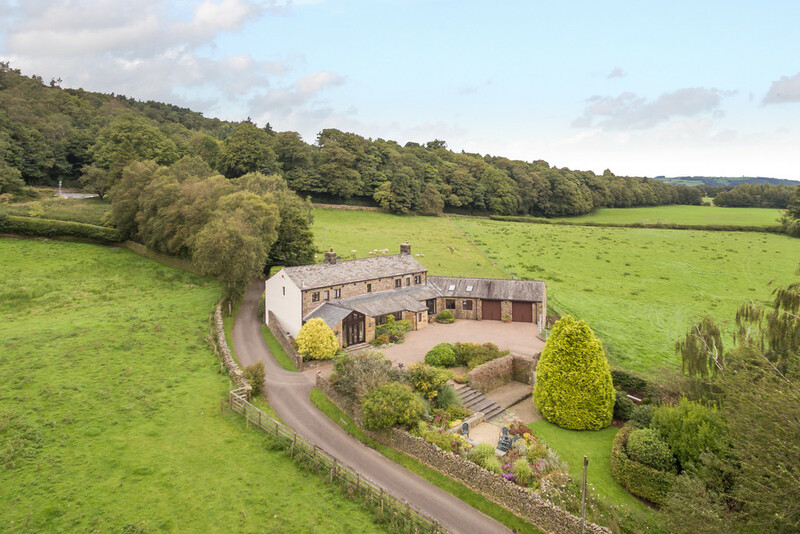 Overall, the property offers privacy and an opportunity for a peaceful countryside lifestyle whilst not compromising on that all important quick and easy access into the city centre. Quernmore is a very picturesque and quiet village with a Methodist chapel, St Peter’s C of E church and the popular Quernmore Primary School. The city of Lancaster, with its historic castle, priory and parkland, is a fantastic small city with excellent cultural resources. It has many high street and independent shops and eateries, two universities and an infirmary. 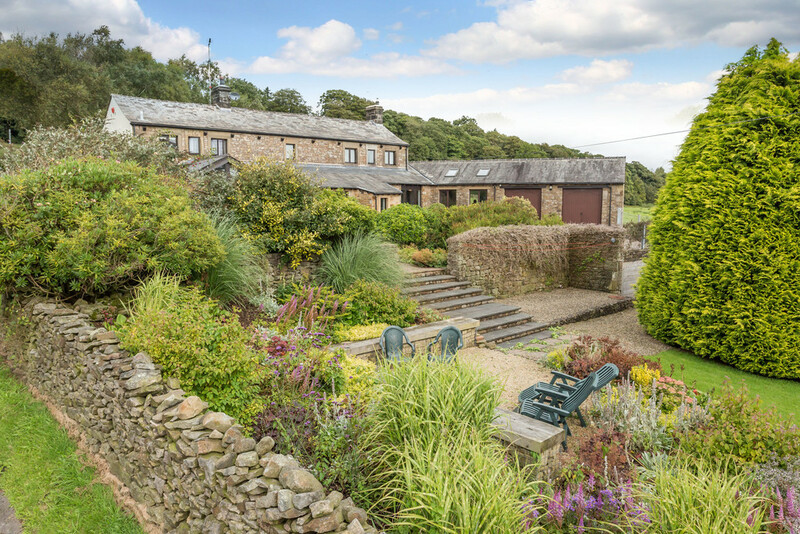 Heathercroft falls within the catchment area of the renowned Lancaster Girls’ and Boys’ Grammar Schools. There is easy and swift accessibility locally, regionally and nationally via the M6 and West Coast Main Line. 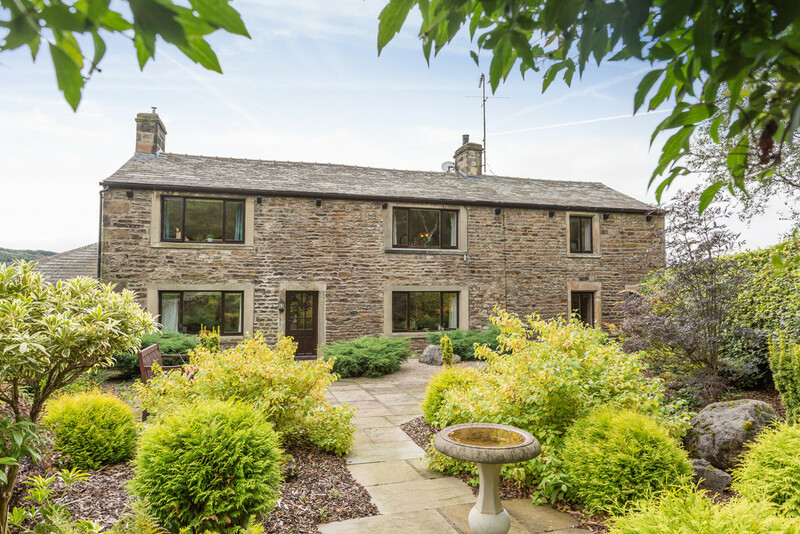 Quietly tucked away along a private lane, Heathercroft is approached via a private drive that leads up to the front of this charming stone-built home. There is ample private parking for several vehicles and also access into the two-door attached double garage. The front entrance door opens into a porch and then into the entrance hall which branches off into the two wings of the property. 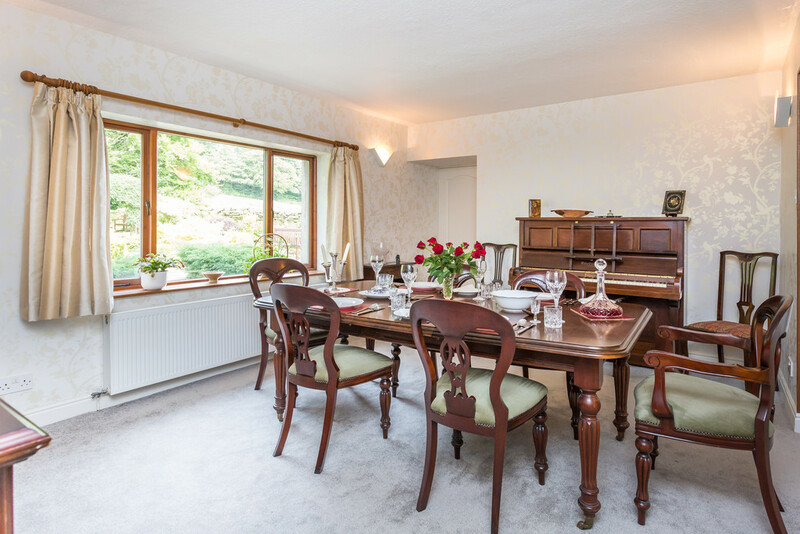 Taking the left brings you into an inner hall which is open to a good sized dining room affording space for formal dining furniture and lovely views over the front, Japanese-inspired garden. 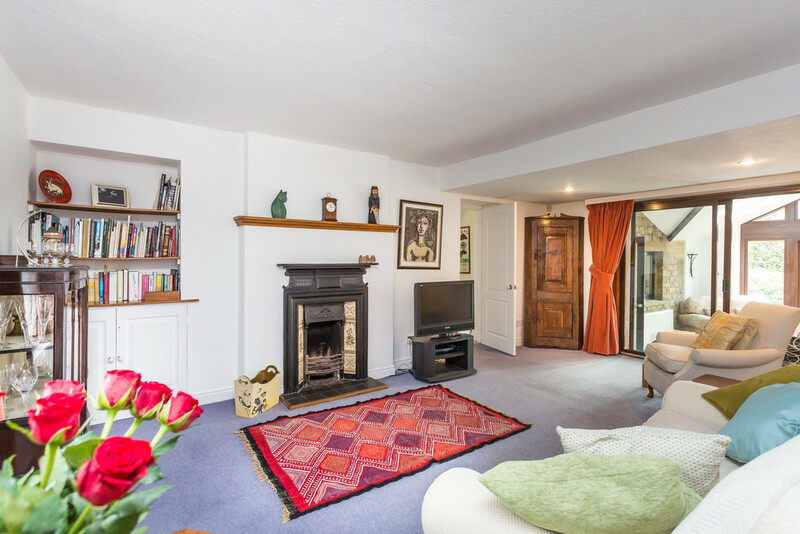 The living room adjoining is spacious and bright, featuring an attractive working fireplace with pretty tiled surround and a tiled hearth, perfect for cosy winter nights. 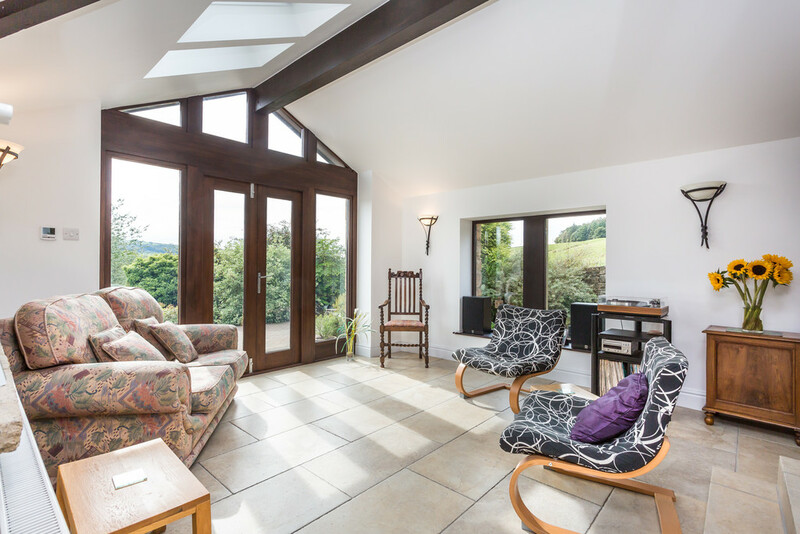 Sliding patio doors lead into the light-filled garden room. 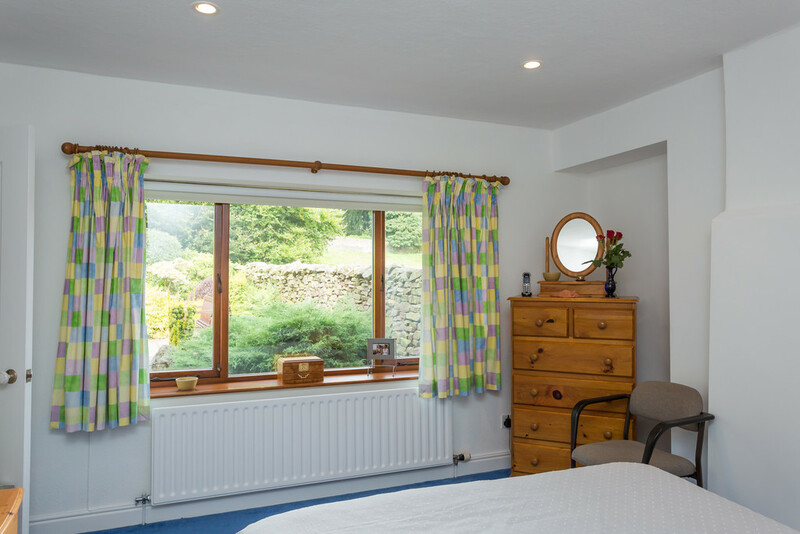 This room is a wonderful additional space in which to relax and enjoy the exceptional views over the rear and towards Clougha Pike. Practical tiled floors continue into the homely breakfast kitchen which includes a range of wall, drawer and base units encompassing a sink and a half with drainer that looks out over the rear. 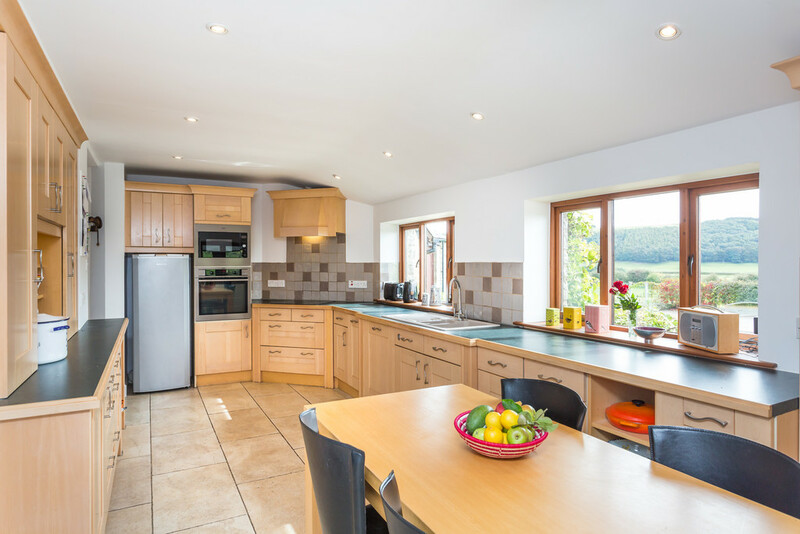 Fitted appliances include an integrated dishwasher, 4 ring induction hob with integrated extractor over, AEG oven, microwave and space for a tall fridge. 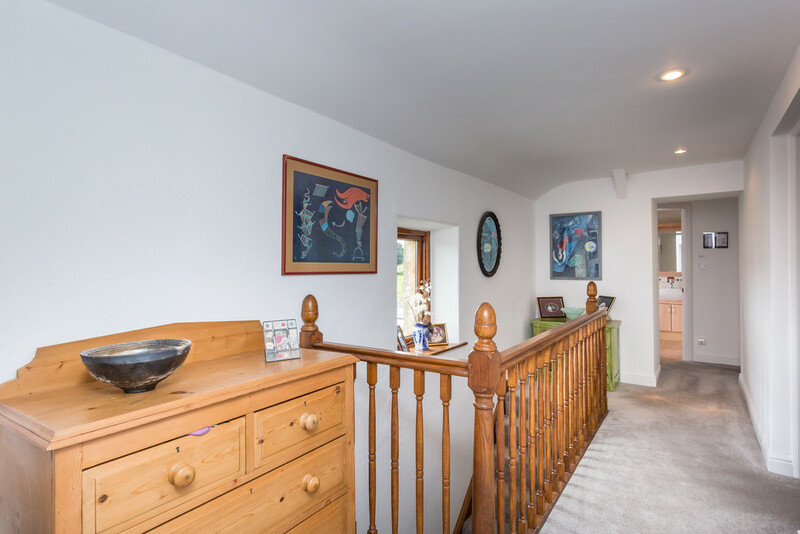 Turning right, rather than left, from the entrance hall, leads to a downstairs WC, a utility room with space for storage of coats and shoes, a large store room and, most impressively, the private home office. Enjoying a bright dual aspect over the rear and side field, this setting is an ideal, peaceful environment. The room includes floor to ceiling built-in shelves across one wall and Velux windows further adding to the flow of natural light. This is a truly versatile space that could lend itself to a number of uses. 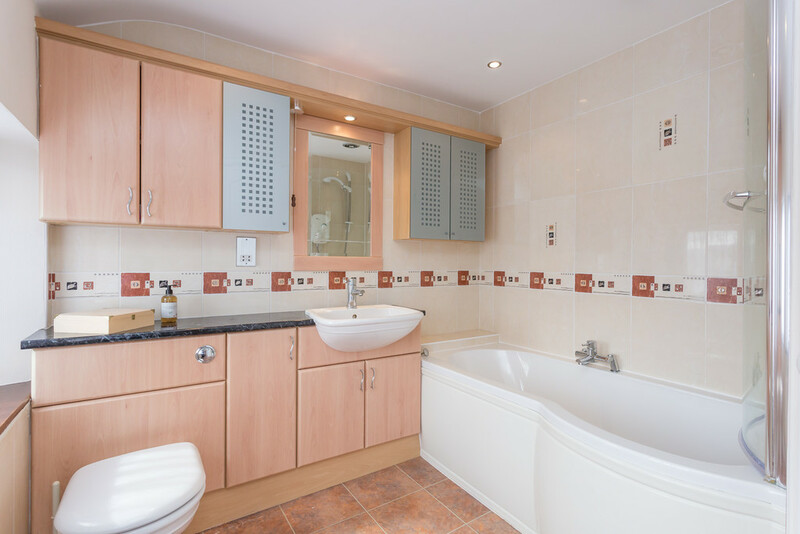 It is ideal for those looking to work from home or could be used as a family room, gym or bedroom. 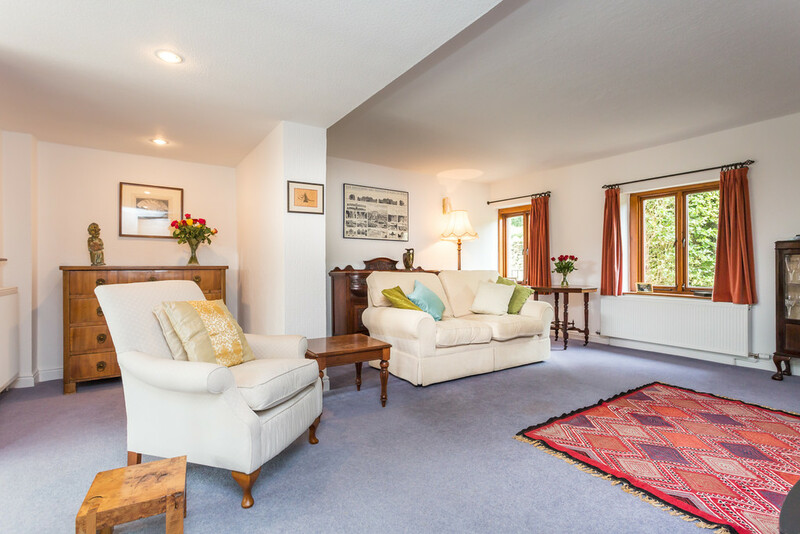 If required, it could be converted into a spacious, self-contained annexe with facilities. There is a stop tap in the floor to facilitate this. The first of the five double bedrooms is located on the ground floor, with the remaining four being on the first floor. Each offers good proportions and unique countryside outlooks, supported by a well-planned family bathroom with P-shaped bath with Mira power shower over. 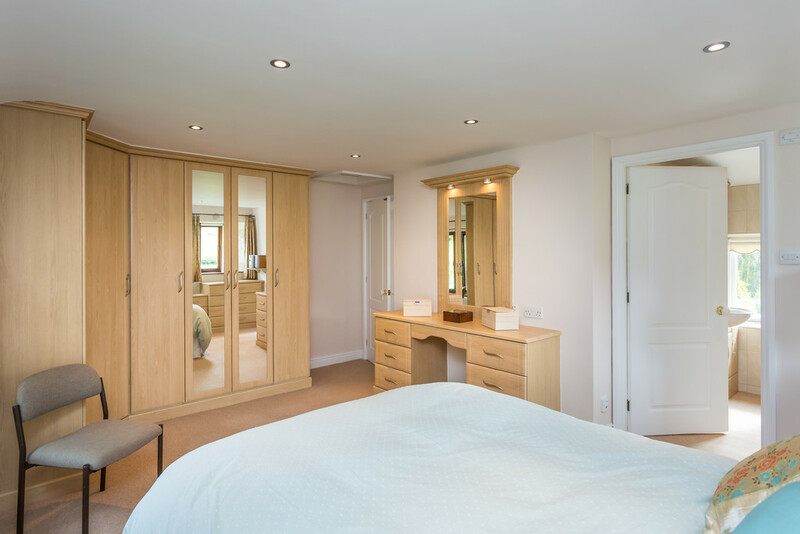 The master bedroom with shower room enjoys a lovely dual aspect and full suite of fitted furniture including wardrobes, bed side table and dressing table. 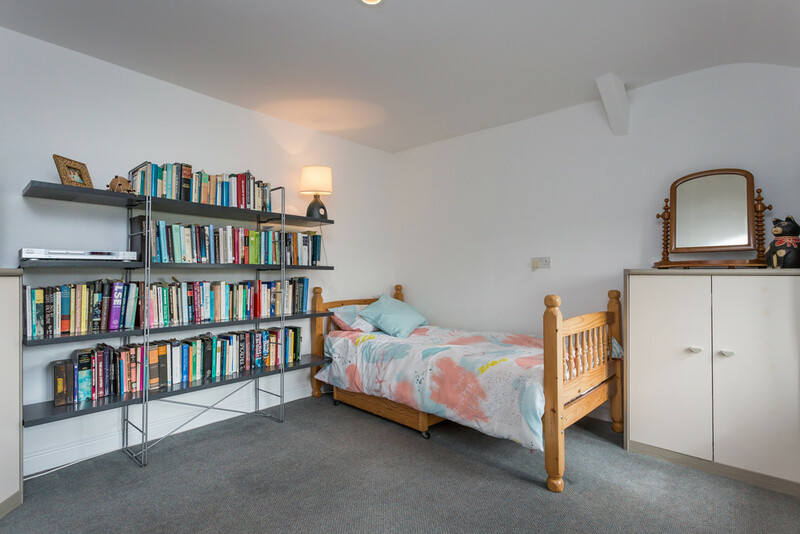 There is ample storage found across the property to support the largest of families, including five separate lofts and an airing cupboard. The grounds surrounding the property have been professionally designed and are ideal for both family enjoyment and peaceful relaxation. Steps lead down from the driveway into the rear garden which affords a good-sized lawn, wild flower meadow, apple orchard and soft fruit plantings. Several seating areas provide differing views and ambience, including an entertainment/barbecue area. The Japanese inspired and low-maintenance garden to the front has been professionally landscaped with a range of carefully selected and attractive plants. 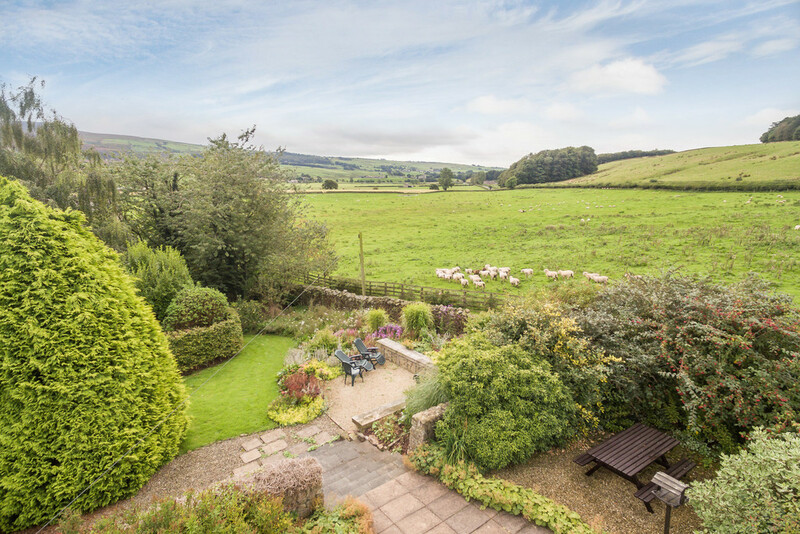 This tranquil spot is further enhanced by the wonderful views over the rolling countryside and towards the Yorkshire Dales and Lakeland Hills. 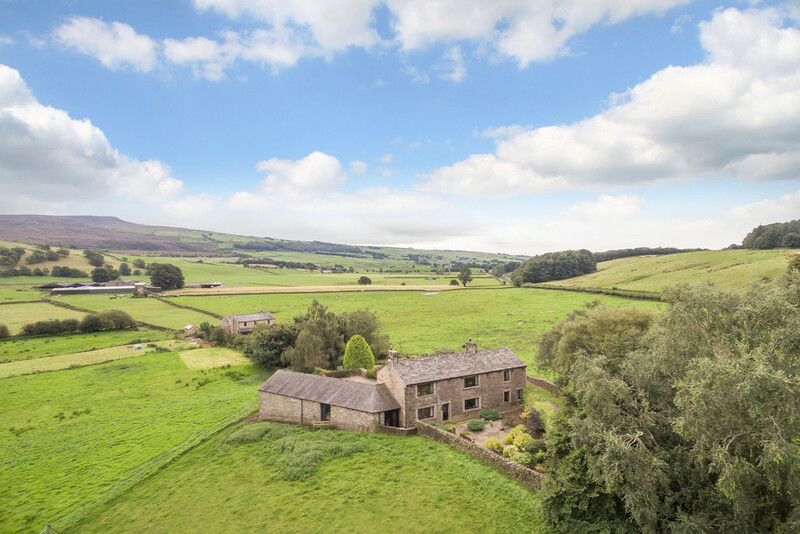 Accessed via a gate from the driveway, the adjoining approximate 2 acre field is a great addition to this already attractive package. Directions From Lancaster town hall, head up towards the Williamsons Park and turn right onto Wyresdale Road. Bear left to remain on Wyresdale Road towards Quernmore. After passing over the bridge, turn left down Newlands Road, bear right onto Quernmore Road. Take the third right down Postern Gate Road and an immediate left down a private lane where Heathercroft is located on your left.